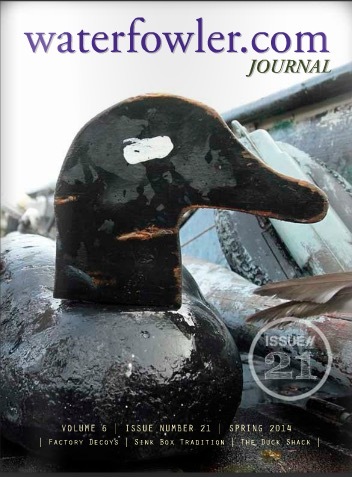 The North Dakota Game and Fish Department’s annual spring breeding duck survey showed an index of 4.8 million birds, up 16 percent from last year and 112 percent above the long-term average (1948-2011). The 2012 index is the third highest on record. All species were well above the long-term average. Wigeon (+88 percent) and green-winged teal (+221 percent) were at record highs. Mallards, gadwall, blue-winged teal, shovelers, redheads and ruddy ducks exceeded the long-term average by more than 100 percent. Only pintails, shovelers and canvasbacks were down more than 10 percent from last year, and mallards were essentially unchanged. Blue-winged teal were at their highest level since 2001, missing the record high by less than 1 percent. The spring water index was down 57 percent from 2011 and 6 percent from the long-term average. Compared to last year, Szymanski said water indices observed on individual transects were all down 50-65 percent. The water index is based on basins with water, and does not necessarily represent the amount of water contained in wetlands. The July brood survey will provide a better idea of duck production and insight into expectations for this fall. Observations to date indicate prospects for good production across the state given abundant breeding pairs and average wetland conditions. jacduck Getting the plans in motion for the 11-12 season. Hope to be able to hunt 130 days + in several states again. You guys in the central flyway keep your powder dry! A serious hunter has to plan ahead! BSEG! I had good news from TX. Our group which leases around 22,000 acres in the Matagorda Co. area is expanding into AR. Looks like we have a lease of 9,000 acres of farmland and ponds in SE AR. What fun to see the opportunities expand. If it works out like I think it might the TX dudes that join up will be amazed at how many ducks there really are. Well it happened again! June 5th the molt migrants passed through the Gladwin area. There are still some stragglers flocked up and it is easy to tell them from the nesters who are paired and escorting young. Anyone else follow the migration north? Looks like a big snow north of us in Canada so get out there tomorrow and the next day and then see what happens for the week-end. Well today is the last day of goose season here in the middle and it is raining like mad and I don’t hunt in the rain. Field geese decoy shy but I got my two yesterday in soy beans a first for me. Never hunted cut soys before. Water geese decoy shy and still loafing on small waters. Got my two day before yesterday. All in all a so so season on geese for me and ducks are absent where I have been hunting. May get to da bay tomorrow if the rain lets up. As advertised the majority of woodies left here around the 26th of October. There are still some around but the majority have left. They are called summer ducks elsewhere but I now consider them to be calendar ducks in the middle of MI since the past 27 years I have watched them on my home lake they have chosen Oct 26 as the departure done gone date. its been a good week today shot 8mallards.looks like most woodys moved on.time to get out layoutboat in water for divers good luck be safe keep up post on sagbay. Back from ND and what a blast. Thanks guys for the posts I appreciate them. Family problems are keeping me from the water but soon I hope to be into some birds. Report from the sunrise side of Sag Bay says bills are in but not great numbers. Water levels good which really means better than a few years ago. Play safe, many of you know we lost a hunter at fish point to a gunshot wound. Only speculation is what I am hearing so I will not repeat any so called details. What a difference weather can make. Saturday the 15th shot 4 Woodies and 8 Mallards. Sunday the 16th shot one Woody and 7 Mallards not a bad weekend. Keep your eyes to the sky and you will see more Ducks! Hunted in the morning of the 13th. Decent draw, not many birds flying in the morning. Maybe this new front will bring them in. The skybusters are alive and well here so far. Be Sociable! Share this article with a friend. Publisher and Webmaster of Waterfowler.com.